These sauteed mushrooms are the perfect accompaniment to grilled steaks. You can prepare them after the steaks are off the grill and resting, or simply use your gas grill side burner and cook both simultaneously. Either way, you will end up with a fantastic steak topper. 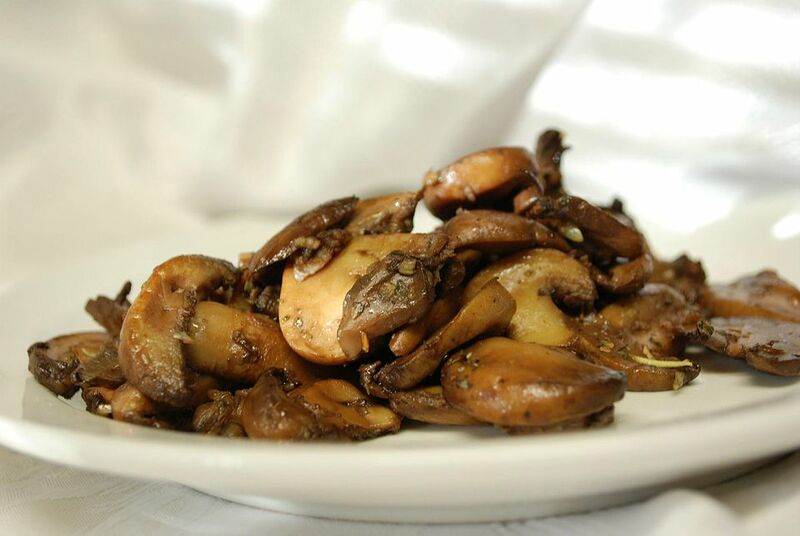 These mushrooms are delicious enough to be served on their own, so whatever your intention, you will be pleased with this dish. Clean and chop mushrooms into thick slices (about 4 slices per mushroom). Heat olive oil in a pan and add mushrooms. Season with garlic, salt, pepper, chili powder, and onion powder. Reduce heat to medium-low and allow mushrooms to cook for 5 to 7 minutes. Turn heat back up to medium-high for 1 minute then add white wine and Worcestershire sauce. Allow mixture to bubble for 1 to 2 minutes, stirring the mushrooms to coat. Turn off heat and add parsley. Serve on top of steak or use as a side dish.